Niatnya mau translate-in dulu baru di post dimari, tapi berhubung artikelnya cukup panjanggg dan udah larut malam (mana belajar belum kelar lagi) mana besok mesti bangun pagi biar cepat2 ke campus buat amanin PeWe..Quote tmn2 campus pas lagi musim ujian (udah kaya cuaca aja neh#laugh) "Posisi menentukan IP" wkwkwk. He was originally named after a character of the manga "Touch". His mother also wanted to have the "wa" kanji of "heiwa" ("peace") in his name. Also, because "Kame" means "turtle" in Japanese, he jokingly said his animal analogy is a turtle. Apart from his releases together with KAT-TUN, Kamenashi was also part of temporary group "Shuji to Akira" together with NEWS' member Yamashita Tomohisa. - Kame has his left ear pierced. - Besides baseball, he also likes snooker, bowling, camping, surfing, basketball and swimming. - He likes to be alone for some time and cannot be with the same person 24 hours a day for too many days at a time. - He has a female Kaninchen Dachshund called "Ran-chan". - He is very determined and likes to try his best in everything that he does. - The has blood-type B (just like most Japanese). - Skill he would like to have: the skill to memorize. Once, during an interview for E-Pop (November issue), he said: "Many times, I use my arms more than my brain." - Kame seems to have a good relationship with his family. When he was younger, he and his father often went to watch baseball games together, or they went to play together. - Kame sometimes babysits his niece, something he loves to do. According to Kamenashi, he has become more and more skillful at calming her down when she cries, using gentle kisses. - Kamenashi's mother used to wake him up in the morning and cook him "wonderful meals". Kame, in turn, helped her around the house and went shopping for her. - When he was younger, his mother used to massage his legs after rehearsals when he came home, because otherwise he would get leg cramps at night. - During baseball games among brothers, he affectionately calls Yuya, his little brother, "little punk" because he's better at baseball than he is. - Auditioned for Johnny's Junior on November 8, 1998 together with Nakamaru Yuichi and Akanishi Jin. - His first Johnny's Jr. concert was "Johnny's Jr. Fresh Spring Concert '99" in May 1999. - He has represented Japan in the Junior leagues. - The person who got him into liking baseball was the owner of a shop near where he lived. - Kamenashi is known for his exceptional baseball skills, which earned him victories in many friendly games, and even against professional baseball teams like the Hanshin Tigers. During late 2005, Kamenashi Kazuya and Yamashita Tomohisa (member of NEWS) both starred in the hit series "Nobuta wo Produce". As extra promotion, both of them formed the temporary unit "Shuji to Akira" ("Shuji and Akira"), the names of their fictional characters in the drama. Their single became the no. 1 best selling single on the Oricon Yearly Single Rankings in 2005, although the single had only been released in November, two months before the ranking. "Women are my weakness - I just can't talk to them." - When he was younger, he was very unconfident with women and found it quite difficult to talk to them. ir of "purity and innocence". Nowadays, he offers us a more diplomatic response and claims he doesn't have a particular favorite type of person, but he'll just like the person he comes to like. When interviewers do persist on getting to know his preferred type, he often says he wants a girl as optimistic and strong-willed as he is, with a pure spirit and a clever mind. - In the May 2005 issue of Myojo, Kame said the eyes are the most important feature of a person, and that he could fall in love with someone if they had a nice scent. - Although he says he feels intimidated by women, he insists that he would not hesitate to take hold of his girlfriend's hand if she was too shy to hold his. Yarakashi fans are "fans" who are disruptive and do not follow the rules issued by Johnny's Entertainment. During KAT-TUN's "Real Face" concert tour in Osaka and Tokyo, Kamenashi became the target of the yarakashi for unknown reasons. The following are a few examples of what they wrote on their uchiwas, directed towards Kame: "Kame, go and die", "Disgusting", "Shup up" etc. One day, at the beginning of Kame's MC, a certain "fan" suddenly screamed "Kamenashi, shut up!". Kame became speechless for awhile, and according to various fan reports, he looked as if he was on the verge of tears as a close-up of his face was shown on the big screens. 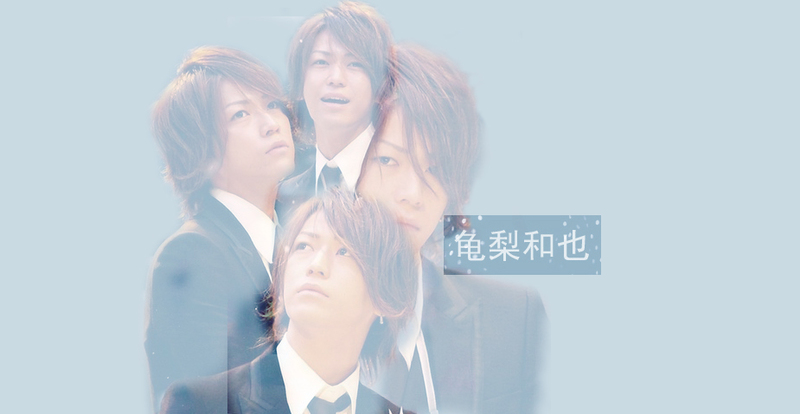 A few fans also reported that Kame's eyes seemed to be puffy and red the next day(s), as if he had been crying a lot. 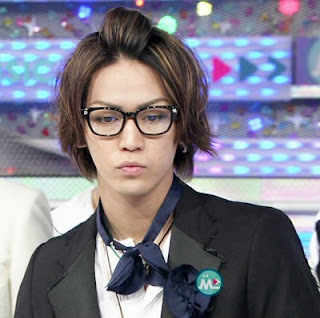 Kame, usually the main spokesman during KAT-TUN's MC part, stayed quiet and didn't smile or put on a fake smile instead. So Maru and Koki took over Kame's role and entertained the people during the MC instead. And even though Jin's voice was already strained from singing, he kept shouting to cover up for Kame's quietness. But even so, the MC was shortened from the usual 40min to barely 15min. During one of KAT-TUN's concerts in Osaka, Jin shouted, "Yarakashi, shut up!" After the "Kamenashi, shut up!" incident, Kame mentioned that his friends has called him to console him, but that he still felt really sad and would go to bed early (something he apparently does when he's feeling sad). He also seemed quite nervous during the next MC's (he also kept looking at the other members) and would immediately start apologizing when he accidentally did or said something wrong. On April 8, yarakashi were again aiming at Kamenashi, holding up uchiwa's like "Go and die Kame!". When Jin and Kame both sang the wrong lyrics during "Real Face" and Koki asked why, Jin replied: "Today, I'm on Kame's side." Nevertheless, the MC only lasted for 10min, with Jin sighing, "Let's just sing." - Underage drinking scandal resulted in JE sueing the magazine. In early May of 2006, Kamenashi was involved in a minor scandal when tabloid magazine "Friday" (known for its untrue? rumors) published an article claiming Kamenashi and Koizumi were dating. Koizumi Kyoko, born on February 4, 1966 and thus 20 years his senior, is a former idol (currently an established actress) and got divorced from actor Nagase Masatoshi a few years ago. apologized, but Koizumi's agency kept silent neither denied nor confirmed the rumor. But although Johnny's Entertainment officially denied their presumed relationship, journalists tend to dig up this story every so often in numerous magazines. So was the affair true after all? No one can tell for sure. Some say they may have had a relationship for real, others say it's been completely made up for promotional purposes, a.k.a to keep people talking about Kamenashi as well as Koizumi. Fact is that the rumors tend to pop up each time KAT-TUN has a new release, or whenever Koizumi stars in a new drama or movie. But then again, Kamenashi has always claimed to prefer "older" women, so who knows..? - He doesn't like tomatoes, green pepper, raisins, and anything with seeds. 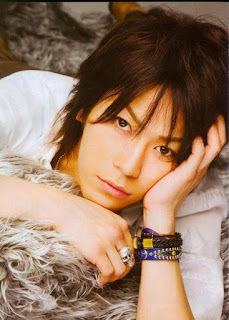 - Kame was voted the best daddy (of the Juniors) by the fans for five years in a row. - He is scared of vampires and heights. Nevertheless, he still forces himself to do air acrobatics during the annual DreamBoys shows. - One of his favorite school subjects was English. - He loves England, Spain and Italy. - He used to get nosebleeds frequently, but this has improved as he grew older. - His favorite colors are black, blue and white. - During his days off, he likes to go shopping, going to restaurants or spending time at home. - He has been offically exclaimed "best impersonator" of KAT-TUN, for his sketches of Donald Duck, his dog, the frog from Spirited Away, etc. "Italian is a cool and simple language."